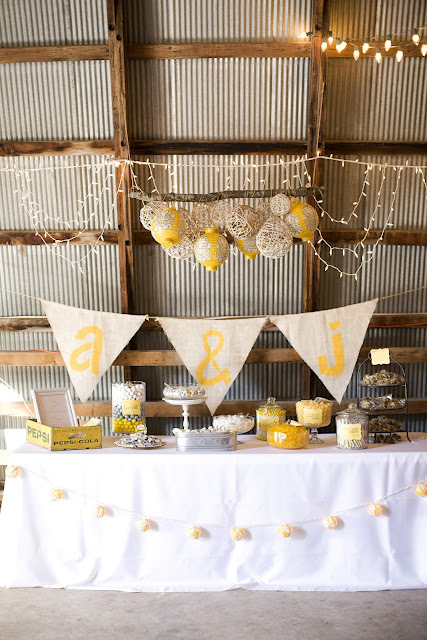 Buntings, banners, or pennants–whatever you like to call them, they’re still popping up in some of the funnest places & spaces. 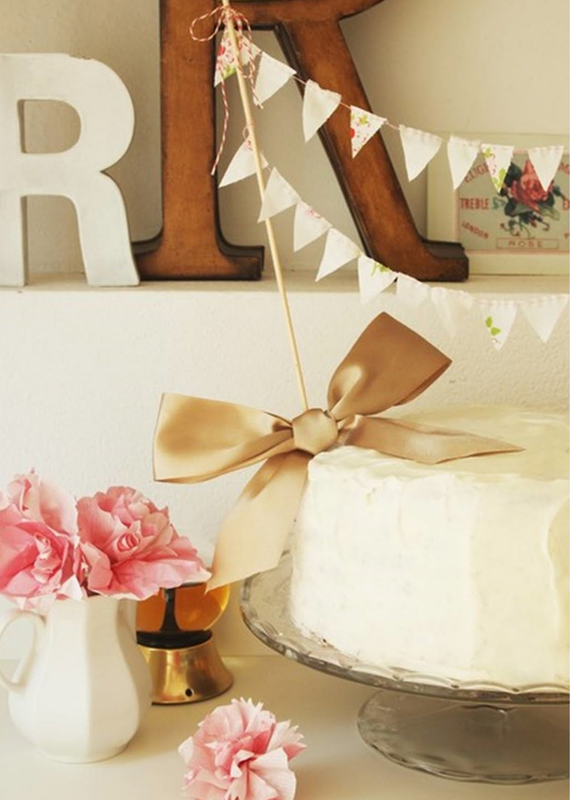 They’re perfect for birthday parties, showers, weddings, or even in your everyday décor. 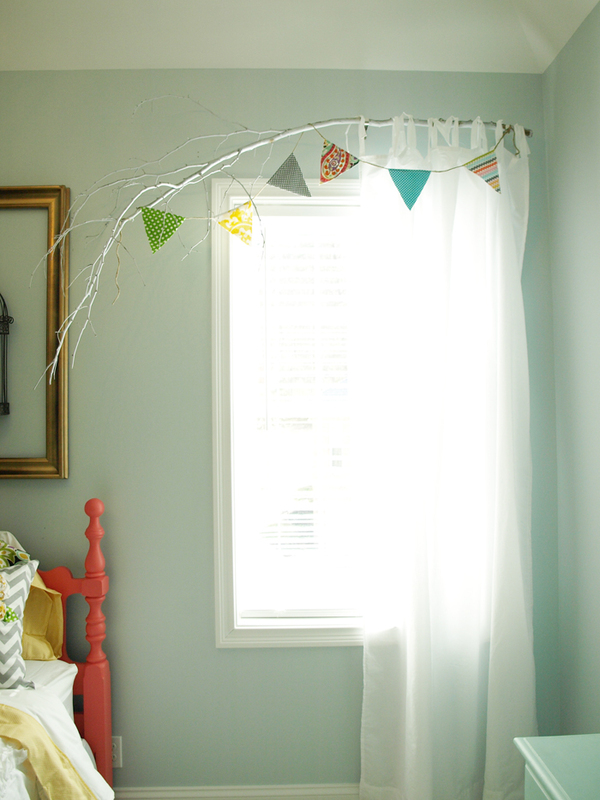 Here’s the how-to on the one I recently made for my daughter’s room. 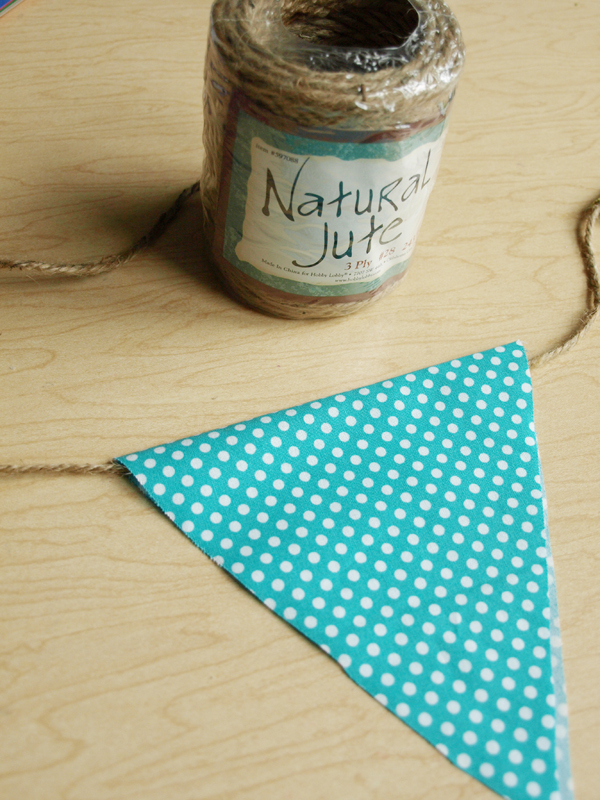 They’re super-simple for any level of sewing skill you may (or may not) have. And if you just do not sew at all, you can use a glue gun instead. You can do this! 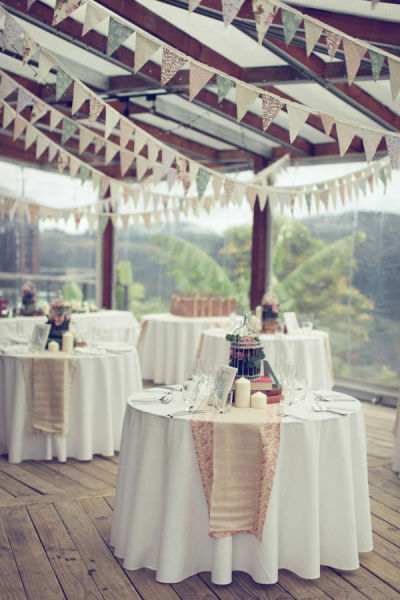 Then, choose a cord, jute, clothesline, or other thin rope & cut it to the length that you want your bunting to be, allowing extra length for tying it in place. 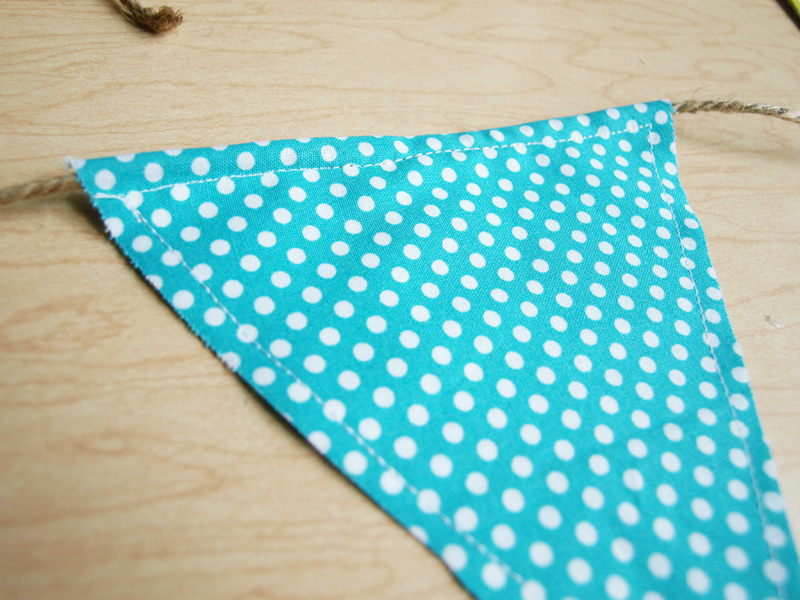 Fold the pennant over the cord & line up the sides of the fabric. Then, just sew a straight stitch across the top of the triangle, close to the cording, but not sewing over it. (You want to be able to slide the pennants if you need to adjust them later.) 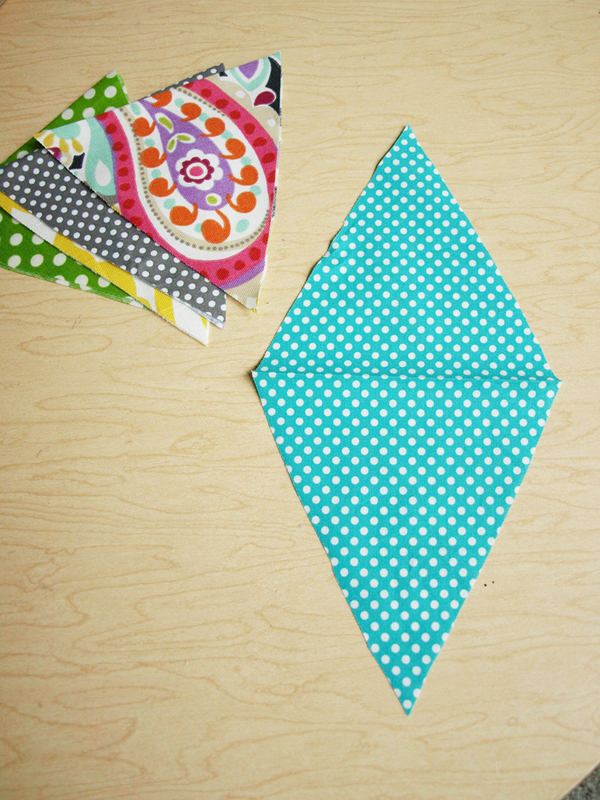 Also, sew around the two other sides of the triangle. 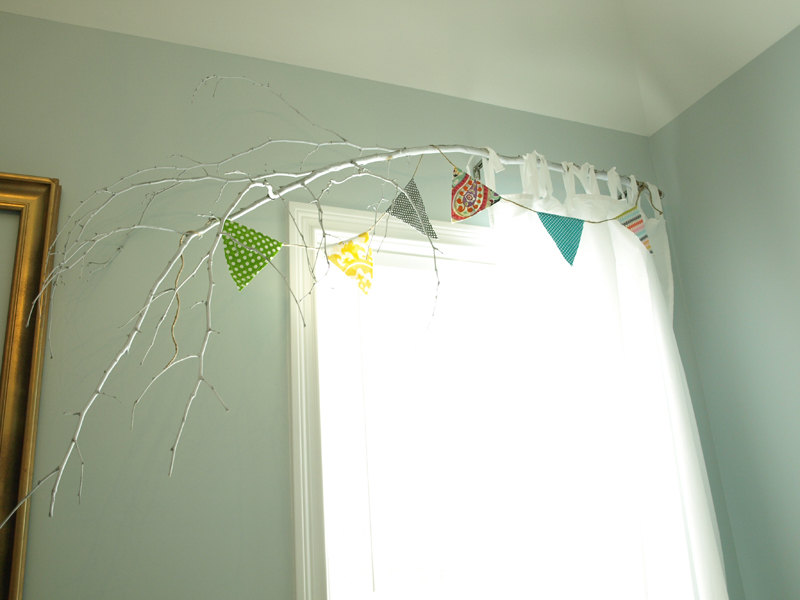 Repeat the steps until you have the number of pennants you want. That’s all there is to it. Hope these inspire you! 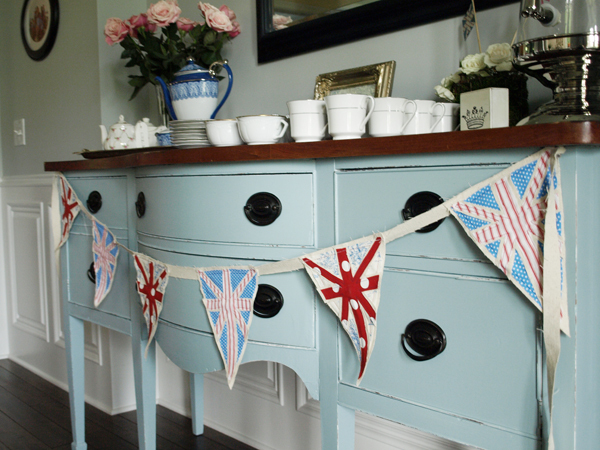 How have you used buntings? 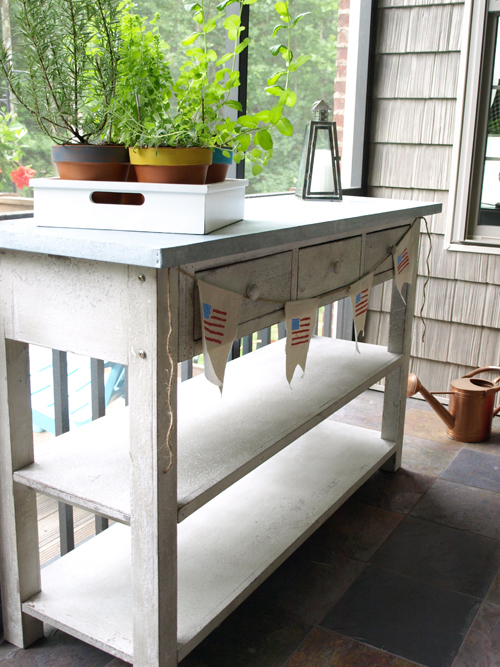 I’m sharing this over at Centsational Girl’s Spring Craft Party. Check it out! 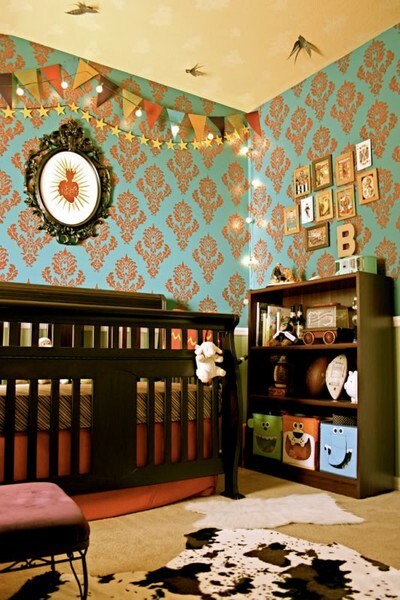 This entry was posted in Uncategorized and tagged Crafting, Decorating, Sewing. Bookmark the permalink. Follow any comments here with the RSS feed for this post. Post a comment or leave a trackback: Trackback URL. Love this! My friend's little boy turns one in a few months and they're throwing him a Sock Monkey themed birthday party. I've been trying to think of some decoration ideas and I think this would be the perfect addition to the room. 🙂 Can't wait to get started on it! 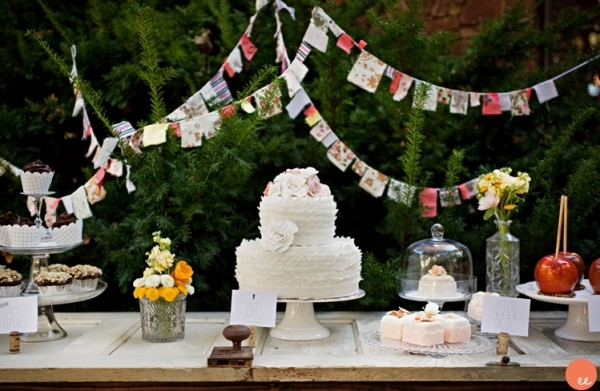 I love bunting! I've made quite a few, but the complicated way! I'm going to give your tutorial a try! Thanks for sharing. These are so cute and I've seen them so many places. Maybe one day I will have a place to use some. Even though sewing is not my thing, I think I could handle this one. Thanks for the info. I just found your blog through Life in Grace & I love it! Definately going onto my favorites bar. I love this post!! You make it look so easy! I may have to try it.